Here you will find audio files for BrandTalk radio show. you can always listen to the replay here! All files are streaming in MP3 format. – "Did You Know That" and is available separately below. BTR 62 | 9/27/2012 | Branding in Publishing. BTR 61 | 9/20/2012 | The Carol Burnett experience. Part 1 BTR 61 | 9/20/2012 | Part 2 BTR 60 | 9/13/2012 | Do you know yourself as a brand? The importance of you as a brand interacting with other brands. BTR 59 | 8/23/2012 | Brand Winner and Loser of the week - Neil Armstrong & Lance Armstrong. Part 1 BTR 59 | 8/23/2012 | Part 2 BTR 58 | 8/16/2012 | Brand Winner and Loser of the week - NBC Olympics Coverage & Fareed Zakaria. BTR 57 | 8/2/2012 | Brand Winner and Loser of the week - Michael Phelps & WikiLeaks. BTR 56 | 7/26/2012 | Brand Winner and Loser of the week - NY Knicks & Olympic Branding. BTR 55 | 7/19/2012 | Brand Winner and Loser of the week - Excedrin & Ralph Lauren. BTR 54 | 7/12/2012 | Brand Winner and Loser of the week - Katy Perry & California's High Speed Rail. BTR 53 | 7/5/2012 | Brand Winner and Loser of the week - Tom Cruise & GlaxoSmithKline. BTR 52 | 6/28/2012 | Brand Winner and Loser of the week - LeBron James & Microsoft Surface Tablet. BTR 51 | 6/21/2012 | Brand Winner and Loser of the week - Nik Vallenda & Lance Armstrong. BTR 50 | 6/14/2012 | Brand Winner and Loser of the week - Donald Trump & Coca Cola. Part 1 BTR 50 | 6/14/2012 | Part 2 BTR 49 | 6/7/2012 | Brand Winner and Loser of the week - Queen Elizabeth & Brad Pitt. Part 1 BTR 49 | 6/7/2012 | Part 2 BTR 48 | 5/31/2012 | Brand Winner and Loser of the week - Samsung & Organic Eaters. Part 1 BTR 48 | 5/31/2012 | Part 2 BTR 47 | 5/24/2012 | Brand Winner and Loser of the week - GM & Kraft. 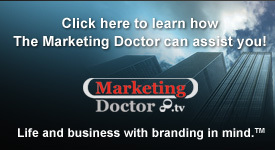 BTR 46 | 5/17/2012 | Dr. John Tantillo asks: "Does your brand suffer when you simply don't care about appearance?" BTR 45 | 5/10/2012 | Brand Winner and Loser of the week - Spirit Airlines and Yahoo (CEO). BTR 44 | 5/3/2012 | Brand Winner and Loser of the week - Couric (online) & Nutella. Part 1 BTR 44 | 5/3/2012 | Part 2 BTR 43 | 4/26/2012 | Brand Winner and Loser of the week - Coke & Oreo. Part 1 BTR 43 | 4/26/2012 | Part 2 BTR 42 | 4/19/2012 | Brand Winner and Loser of the week - Ford (Lincoln) & Ball Parks (Peanuts). BTR 41 | 4/12/2012 | Guest Star Brand call-in – Mark Nadler. BTR 40 | 4/5/2012 | Brand Winner and Loser of the week - Mega Millions & Pink Slime. Part 1 BTR 40 | 4/5/2012 | Part 2 BTR 39 | 3/28/2012 | Brand Winner and Loser of the week - Tommy Hilfiger & Belvedere Vodka. BTR 38 | 3/21/2012 | Brand Winner and Loser of the week - Tide & AT&T. BTR 37 | 3/14/2012 | Brand Winner and Loser of the week - Coke/Pepsi & Tim Tebow. BTR 36 | 3/7/2012 | T.J. McCormack and John Tantillo discuss in depth remarks by Rush Limbaugh and the resulting backlash his brand is experiencing. Brand Winner and Loser of the week - Rush Limbaugh & GM (The Volt). BTR 35 | 2/29/2012 | Guest Co-Host – T.J. McCormack. Brand Winner and Loser of the week - Ben & Jerry’s & Levi’s. BTR 34 | 2/22/2012 | Guest celebrity – T.J. McCormack. Brand Winner and Loser of the week - Jeremy Lin & Mitt Romney's Elephant. BTR 33 | 2/15/2012 | Brand Winner and Loser of the week - J.C.Penney & Cruise Industry. Did You Know That - Valentine Cards. BTR 32 | 2/8/2012 | The Marketing Doctor talks about Super Bowl, The Super Bowl ads, Madonna, Manning, Brady, and Gisele. Brand Winner and Loser of the week - Mitt Romney & J.C.Penney. BTR 31 | 2/1/2012 | Brand Winner and Loser of the week - CareerBuilder & Starbucks. Did You Know That - M&M’s BTR 30 | 1/25/2012 | Brand Winner and Loser of the week - Uncle Ben’s & Super Bowl Advertising. BTR 29 | 1/18/2012 | Did You Know That - Earmuffs. BTR 28 | 1/11/2012 | Mitt Romney’s Political Brand. Brand Winner and Loser of the week - Children’s Healthcare of Atlanta & Kodak BTR 27 | 1/4/2012 | Roundup of best and worst Brand Winners and Losers of 2011. BTR 26 | 12/21/2011 | Brand Winner and Loser of the week - Ford & RIM (Blackberry). BTR 25 | 12/14/2011 | Brand Winner and Loser of the week - Alec Baldwin & Penn State. BTR 24 | 12/7/2011 | Brand Winner and Loser of the week – Amazon Kindle Fire & The New York Times. Part 1 BTR 24 | 12/7/2011 | Part 2 BTR 23 | 11/30/2011 | Entertainment brands discussion. Brand Winner and Loser of the week - Tiger Woods and Hyundai. Vicks VapoRub brand evolution. BTR 22 | 11/23/2011 | Guest brand - T.J. McCormack and his "branzition". The history of Thanksgiving. Brand Winner and Loser of the week - Katie Couric and Faceboook. Invention of the ATM. BTR 21 | 11/16/2011 | Dr. John Tantillo talks about personal experience with Aigner Chocolates brand; Brand Winner and Loser of the week – General Motors & (Re)Brand USA; Paula Abdul’s invention. BTR 20 | 11/9/2011 | DYKT – Michael Jackson’s Invention BTR 19 | 11/2/2011 | Kardashians, Drew Manning Brand BTR 18 | 10/25/2011 | Steve Jobs’ Brand BTR 17 | 10/19/2011 | Medical Marketing BTR 16 | 10/12/2011 | The Michigan Brand BTR 15 | 10/5/2011 | DYKT – Mark Twain’s Invention BTR 14 | 9/28/2011 | DYKT – The Wreless Network BTR 13 | 9/21/2011 | DYKT – The Drive-In Movie BTR 12 | 9/14/2011 | The Tony Bennett Brand. BTR 11 | 9/7/2011 | DYKT – Air Conditioning. BTR 10 | 8/31/2011 | DYKT – The Post-It Note. BTR 9 | 8/24/2011 | DYKT – The Walkman Part 1 BTR 9 | 8/24/2011 | Part 2 BTR 8 | 8/17/2011 | DYKT – George Washington. BTR 7 | 8/10/2011 | DYKT – Playdough. BTR 6 | 8/3/2011 | DYKT – The Microwave Oven. BTR 5 | 7/27/2011 | DYKT – Gillette. BTR 4 | 7/20/2011 | DYKT – Brand by Fisher. BTR 3 | 7/13/2011 | DYKT – The Shopper’s Gift. BTR 2 | 7/6/2011 | DYKT – The Invention That Changed The Way We Maintain Our Lawn. BTR 1 | 6/29/2011 | Unusual last request. #9. "Michael Jackson." #8. "George Washington." #7. "Playdough." #6. "The Microwave Oven." #5. "Gillette." #4. "Brand By Fisher." #3. "The Shopper's Gift." #2. "The Invention That Changed The Way We Maintain Our Lawn." #1. "Unusual Last Request."